With the current state of the economy and the tightened financial markets, the use of private money lending sources has skyrocketed over the last couple of years. Adding fuel to the fire is the fact that our so called “Great Recession” has put many people into bad credit situations that prevent them from obtaining financing through traditional lending sources. And these two situations don’t show any signs of changing soon. There’s any number of reasons – you’re just searching for the best private lenders out there before you pull the trigger. Or you are thinking about getting started as a real estate investor and have just been introduced to the concept of private money. You’re doing your research to get a full understanding of how it works and to find a private money lending source that you can trust when you are ready to move forward. The purpose of this article is to provide you with the resources you need to help you achieve your goals. Since I’m trying to help people with different objectives with one article, I’m going to start at the very beginning for those who are researching right now. If you find yourself in the category of simply looking for the best private lending sources, you can skip down to the end of the article. Let’s start by defining some key terms. First off, private money lenders are also known as hard money lenders the terms are often interchanged. Private money really just establishes that no financial institution is involved. The money given is directly from private people or a group of private people and not from a financial institution. It may be helpful for you to understand how traditional loans work to appreciate the role of hard money lenders. Traditional loans are done by a lender giving loans that meet certain criteria, once the lender has given so many of these loans that fit in certain boxes they then sell the “package” of loans out to what is referred to as a “secondary market” this is typically Wall Street. So these Wall Street groups are looking to purchase income streams. In many cases the lender retains the servicing, meaning they collect the monthly payments, deal with collections, foreclosure process, and maintain a relationship with a customer. Think about it, what happens if the secondary market is “gun shy” or does not want to buy certain types of loans? Do you think that you are going to have a hard time getting that type of a loan from a traditional lender? The answer is YES, the reason is that if the lender does not sell the loans they have to keep it on their books, this limits their lending ability. Traditional lenders get paid to package loans not to keep them on their books, they need to get their money back so they can lend it out again. This is exactly the situation we find ourselves in today. Traditional lenders want nothing to do with real estate investment loans because they can’t sell them to Wall Street right now. In contrast private loan lenders write their own rules. They are able to make their own guidelines and not make funding decisions based upon the “box” that Wall Street or secondary market may put on them. They are basically a conduit between people who have money that they want to invest and people who can use it, like you. Because that’s basically what they are doing. They are making an investment by lending you the money you need to do your investment. That’s really all there is to the world of private money lending. One last thing you should be aware of is that you’ll be looking at higher interest rates with private money loans because the loan is given out based solely on the credentials of the asset (typically a piece of real estate) and not the credentials of the borrower (your credit, job history, income, etc.). Now what I want to do is give you some rules of thumb that I think are absolutely critical when getting private money lending from any source. The first thing you need to do is thoroughly evaluate the lender. You should check references, testimonials, business history (if not an individual) and reviews. I’ve seen far too many cases where people get snowed over and lose a few hundred bucks up to a couple grand by an unscrupulous private money lender. You should also consider getting a full understanding of all the fees you will be required to pay at the closing table. I see many investors get blindsided by the fact that they have to pay points to close the loan. Don’t be surprised if your application gets declined or you are unable to get the loan amount you requested. Far too many newbies don’t know how to properly calculate the after repair value of a home. They’ll just look at Zillow or some other website that says a home is worth “x” amount of dollars and they think that there’s a big profit margin. But when the private money lender evaluates the property, a completely different (usually much lower) after repaired value is returned. The lender will base their decision off of this evaluation, NOT what you think the property should be worth. Don’t argue with the lender and try to get them to change their mind because it won’t happen. Don’t expect to submit a loan application as a way to try and get a lender to evaluate a potential deal that you think you might want to invest in. And certainly don’t call them and ask them to tell you what they would give you for financing on every property you are considering. A private lender can’t give you the details of the terms of a loan until they look at the property and do an evaluation. That’s why you get ranges on the website. 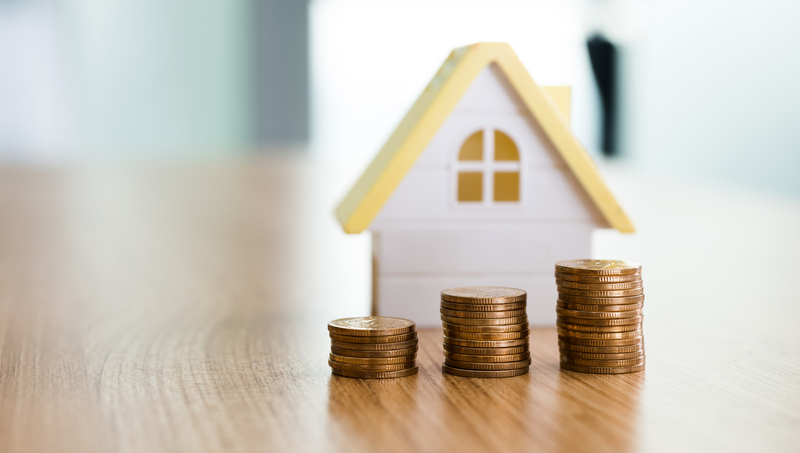 You are probably thinking that you can’t make an offer until you know if you can get the financing you need… what you need to do is become more educated on evaluating properties so that this isn’t an issue. The people who know what they are doing and succeed in this business put in offers before they ever seek financing. All you have to do is write your contract with the appropriate contingencies that protect your earnest money. How can they do this you say? Well, they know that private lenders will give them the money they need if the deal is good and they don’t have something like a bankruptcy or tax lien on their record. And if for some reason the financing on the deal doesn’t come through, they have their contract written that allows them to back out unharmed. At the beginning of the article, I promised to help you find the best private lenders. One source that I highly recommend is Moolahlist.com. You can post up your deal for reputable private money lenders to look at and potentially contact you to get you funding. What I also want to do is introduce you to my company, DoHardMoney.com. At DoHardMoney.com, we specialize in financing real estate investors with private money and have been doing so since 2005. We have an extensive network of people ready to fund your deal in as little as 5 days. Our sole focus is delivering fast and easy access to the most private money loan options available online. If you are an investor who is ready to make an offer on a property (or already has) and needs fast financing, we are happy to help you with every step of the process.